Shirahama Onsen has 1300 years of history. It is famous not only as one of three oldest hot spring ("onsen"), resorts in Japan but also as one of the most beautiful beach resorts in West Japan. It is a mystery that hot springs exist in Shirahama Onsen though there is no volcano around the area. 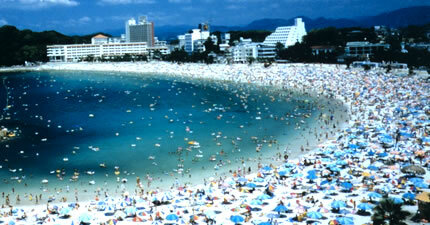 In 2000, Shirarahama Beach and Waikiki Beach (Honolulu, Hawaii, US) established a good will sister beach relationship. 1 hour from Tokyo Haneda Airport to Nanki Shirahama Airport. 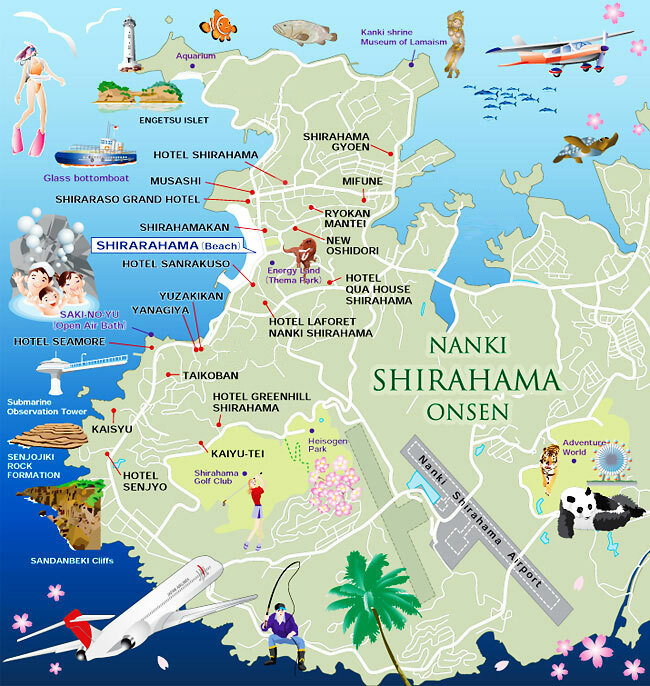 10 minutes from Nanki Shirahama Airport to Shirahama Onsen by car or bus (2 to 3 buses daily). 2 hours and 30 minutes from Shin Osaka station to Shirahama Station by the JR Kinokuni Line Express train. 1,300 year History, Variety of Attractions and Sightseeing, Variety of Hot springs ("onsens"), Beautiful beach, World Heritage Sacred Sites and Pilgramige Routes. 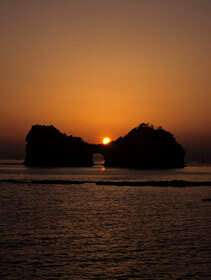 • 1 hour from Tokyo Haneda Airport to Nanki Shirahama Airport.